We have seen a few of these recycled clocks before on Geeky Gadgets, the latest one will appeal to all the Apple fans out there, the Recycled Apple iPod Clock. 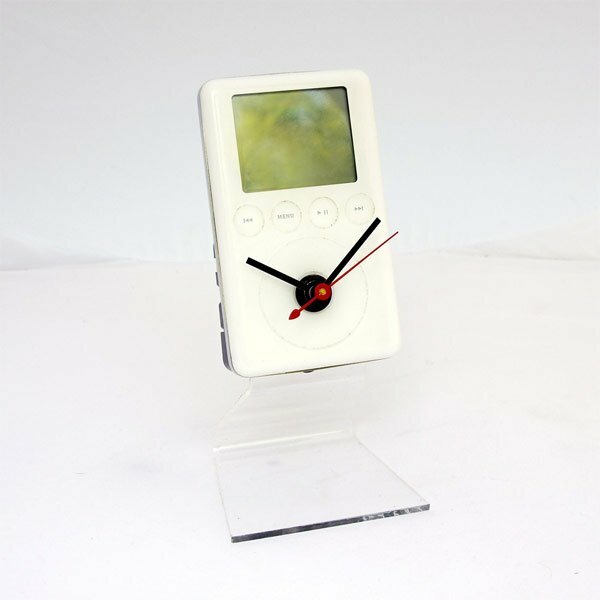 As the name suggests, the Recycled Apple iPod Clock is made from a recycled iPod, and it features a quartz clock movement and it measures 2.5 inches wide by 6.5 inches tall. This is a real Apple ipod that has been transformed into a working desk clock using a USA made quartz drive movement. 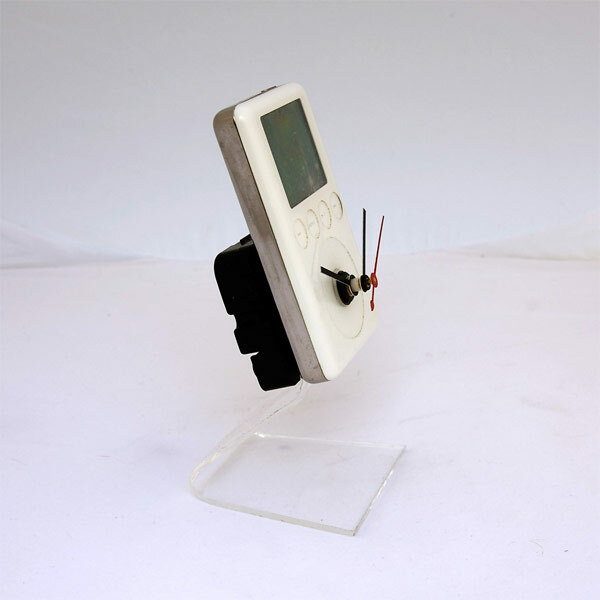 The clock measures 2.5″w x 6.5″h, and runs on 1 AA battery, included. It will make a great conversation piece on your desk or a special gift for that geek you know who is so hard to shop for. Very cool, what would be even cooler would to have a recycled iPod clock with a digital display for the time, if you want one they are available for $39.00 from Pixel This.